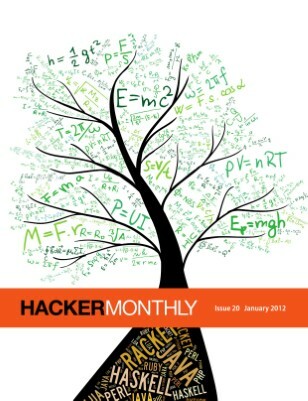 The New Year Issue features Matt Might's "Translating Math into Code. If you're hiring, Jason Cohen shares some unconventional tips on "Hiring Employee #1". And, check out Edward Tufte's lesser known "Slopegraphs" by Charlie Park. There are also plenty of technical articles in this issue: Haskell, Python, Redis Bitmaps, Spine and more.